With social media becoming an increasingly important part of the business landscape it’s now more important than ever that salespeople have a good presence on social media. While there are a number of social media platforms to choose from including Twitter, Facebook, YouTube, Instagram and LinkedIn to name a few of the most popular ones, networking on LinkedIn should be a primary goal. LinkedIn, which has over 225 million users, is where most people go to research other companies and to make purchase decisions about products and services for their companies. If you are a salesperson and setting appointments is a primary part of your job, you can be assured that you are getting checked out online and on LinkedIn before a prospect says “yes” to your asking for an appointment. 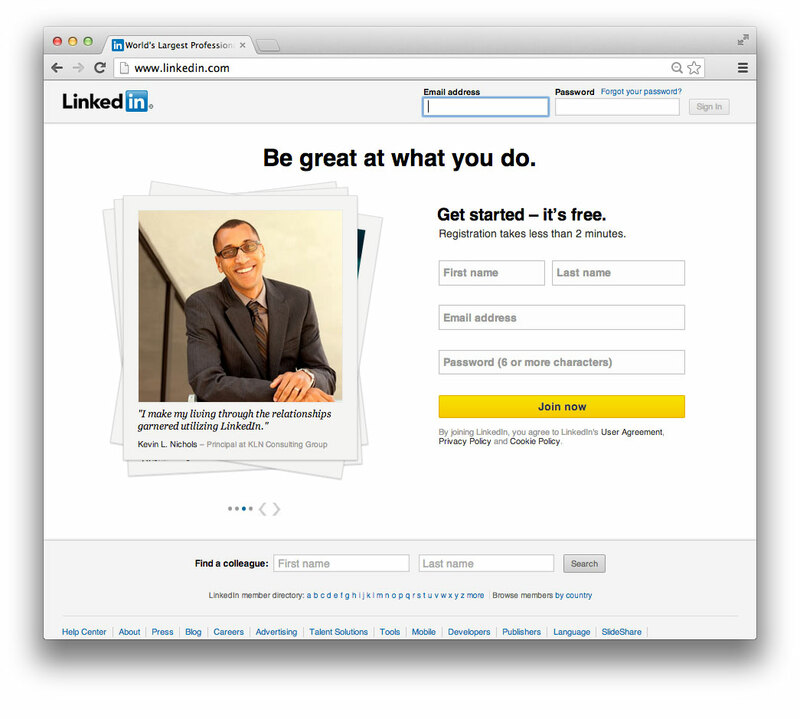 How do you get started using LinkedIn? It all starts with having a thorough profile. There are some LinkedIn users that won’t accept networking requests from LinkedIn member that don’t have a profile picture. When you get started using LinkedIn it’s very important that you make sure you have a complete profile including adding your past positions, recommendations and a good headshot or profile image. Without having a solid profile established, especially a profile image, whatever you do on LinkedIn won’t be as effective. So establishing a solid profile is important before you start to engage your network. After you build your profile you are not finished. That’s just the start of what you need to be doing on LinkedIn. With what seems like more salespeople competing for the same accounts it’s important to not just have an account on LinkedIn but to actually USE your account on LinkedIn. You don’t have to be actually writing articles or blog posts to be seen by others in your industry as a thought leader. By sharing articles with your network that are relevant to the audience you are targeting you can become associated by your network with specific topics. The key to this step is to be somewhat specific with what you share with your network. You want to establish yourself as someone who is knowledgeable about specific topics so you should make sure to focus at least 80% of your posts to those topics. Similar to sharing articles that are relevant to your industry you can also raise your profile in the industry by commenting on relevant articles. By doing so you will highlight your involvement with the industry and give you a framework for your comments. The last thing you want to do is to confuse your network about what you represent online. This is why it’s important to make sure that you keep your updates focused on specific industries and topics so that you don’t dilute your profile and confuse your network. If you are an Account Executive at a radio station is doesn’t do your personal brand any favors if you are sharing posts about oceanography. Make sure that at least 80% of your posts are closely related to your profession so that you are seen as an expert in that industry. Nothing says who you are online by what groups you affiliate yourself with. Joining relevant industry groups and receiving updates each week is a great way to stay on top of news and developments within your industry. If you want to do more than just follow the crowd you can post relevant articles and comment on group discussions and demonstrate your expertise. After all, you are trying to establish yourself as knowledgeable and a source of information about your industry. This differs somewhat from sharing articles with your entire network. This is targeting specific articles regarding items you find interesting with specific contacts. This isn’t a “share with all” type of post, it’s more of an email to someone in your network stating that you thought they might find this article interesting and why. This can be a great way to forge a relationship with someone in your network. Regardless of how many of the above steps you try, the two most important things you can do on LinkedIn or any social network for that matter are to have a good profile and to actually utilize the platform. I have known a number of people that end up buying luxury sports cars but keep a car cover over them and rarely go above the speed limit when driving. If you are going to take the time to set up a profile on LinkedIn and want to see some results you will need to do more than just buy the car. You actually have to drive it! So put on your seat belt and take the car for a drive in the fast lane.